Wikimedia CommonsThe latest in Chinese biomedical research saw the successful addition of human genes to the brains of rhesus monkeys. China’s latest controversial biomedical study sounds like the prologue to the The Planet of the Apes. 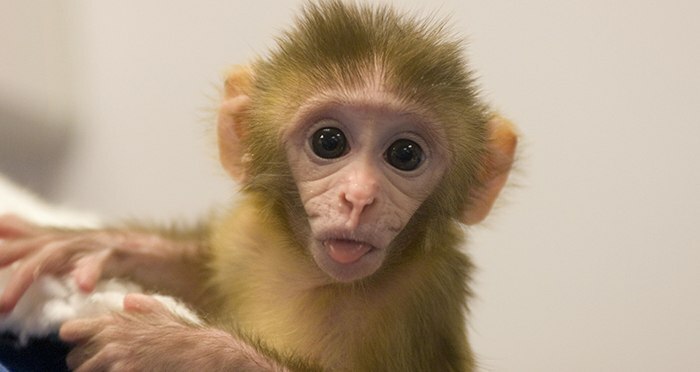 According to the South China Post, a group of Chinese researchers successfully inserted human versions of the Microcephalin (MCPH1) gene, which is important to the unique development of the human brain, into 11 rhesus monkeys. The study is the first of its kind and has since sparked a slew of ethical questions. Conducted by researchers at the Kunming Institute of Zoology and the Chinese Academy of Sciences in collaboration with U.S. researchers at the University of North Carolina, the groundbreaking results of the research were published last month in Beijing’s National Science Review in which it was revealed that five monkeys were successfully mixed with human genes. The study is controversial because the addition of human genes in a sense classified the monkey as being more human. This poses an ethical dilemma as the monkeys were subsequently subjected to fatal disease from the experimentation. But scientists of the study claim that their findings were integral to understanding the development of the human brain. The 11 test monkeys were given the MCPH1 gene as embryos via a virus. In turn, six of the subjects died. The survivors underwent memory tests involving a variety of colors and shapes that were displayed on a screen. After the memory session, the monkeys were subjected to MRI scans. The results from the scans of the manipulated monkey brains found that, like people, these brains took longer to develop and that the animals performed better in tests of short-term memory and reaction time compared to wild monkeys with normal monkey brains. Only five of the 11 monkeys embedded with human genes survived the testing. The research has consequently divided opinions in the international scientific community. Some researchers question the moral ethics of interfering with the genetic makeup of an animal species while others believe that these types of experiments still hold significance in developing the field. Transgenic research, which involves the insertion of genes from one species into another, has sparked a heated debate in scientific circles regarding the ethics of artificially manipulating organisms of a certain species. The study on the monkey brains using human genes is no exception and to many, is a glaring example of how unethical it is. “To humanize them is to cause harm. Where would they live and what would they do? Do not create a being that can’t have a meaningful life in any context,” asserted University of Colorado bioethicist Jacqueline Glover. Unsurprisingly, the obvious parallels between the real-life study and the Planet of The Apes movie series, where humans and apekind battle each other after the engineered development of primates by lab scientists, has drawn immediate comparisons from the public and even by other researchers. “You just go to the Planet of the Apes immediately in the popular imagination,” Glover continued to the MIT Technology Review. Researchers of the study defended the experiment and argued that the rhesus monkey is genetically distant enough to the biological makeup of humans to alleviate such ethical concerns. For instance, Larry Baum, a researcher at Hong Kong University’s Centre for Genomic Sciences, had a different opinion. This is not the first controversial bio-experiment to come out of China. 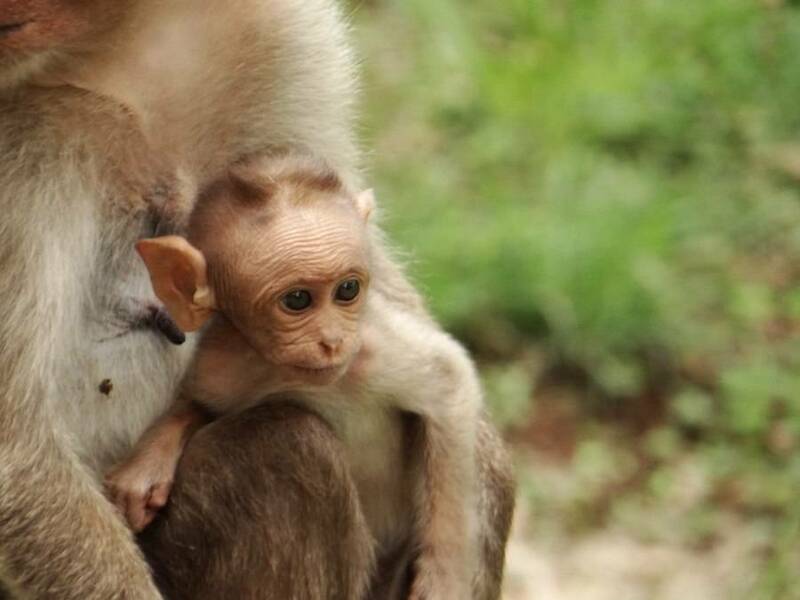 In January, five cloned macaques used in a gene-editing study showed symptoms of depression and schizophrenic behavior. One of the study’s lead researchers, Su Bing, told CNN that the experiment had been reviewed by the university’s ethics board and that the research’s protocol had followed both Chinese and international best scientific practices, in addition to international animal rights standards. “In the long run, such basic research will also provide valuable information for the analysis of the etiology and treatment of human brain diseases (such as autism) caused by abnormal brain development,” Bing wrote in an email to the news outlet. This is not the first biomedical research out of China that has stirred both international criticism and acclaim, however. 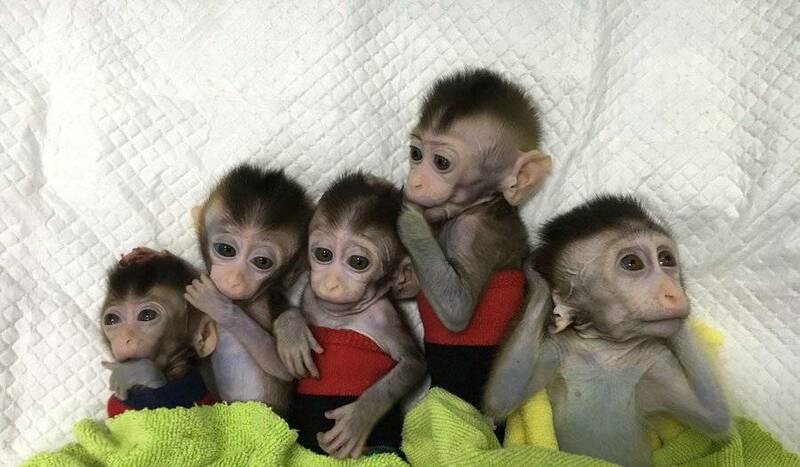 Just earlier this year, Chinese scientists unveiled the shocking experiment of five macaques that had been cloned from a single animal. The cloned animal had been genetically engineered to specifically have a sleep disorder, which resulted in the macaque’s clones having developed signs of mental problems, such as depression and behaviors linked to schizophrenia. And last year, Chinese researcher He Jiankui came out with the shocking revelation that he had successfully gene-edited twin girls to prevent them from contracting HIV. While the ethics of gene editing will rage on, so will the startling effects regarding their experimentation. Next up, read about another transgenic experiment where scientists created an pig-human hybrid. Then, learn how researchers connected three separate brains and successfully shared their thoughts.